(VEN) - The Southern Power Corporation (EVN SPC) is implementing a power project for shrimp farming households in order to contribute to reducing power consumption, saving production costs and increasing profits. The project seeks to address the rapid expansion of shrimp farming areas in the southern coastal provinces and resulting increase of power consumption. According to the Ministry of Agriculture and Rural Development, there are 635,000ha of shrimp farming area in the Mekong Delta, accounting for 75 percent of the total area of shrimp farming in the country. Shrimp farms need power to operate motors to supply oxygen without which the creatures would die. Surveys conducted in the provinces of Ca Mau, Soc Trang and Bac Lieu show that most farming households use low-efficiency motors, leading to large power consumption. According to the Southern Power Corporation, it had difficulty meeting the demand for electricity from the aquaculture industry that rose from 7,780MW in 2015 to 9,529MW last year. 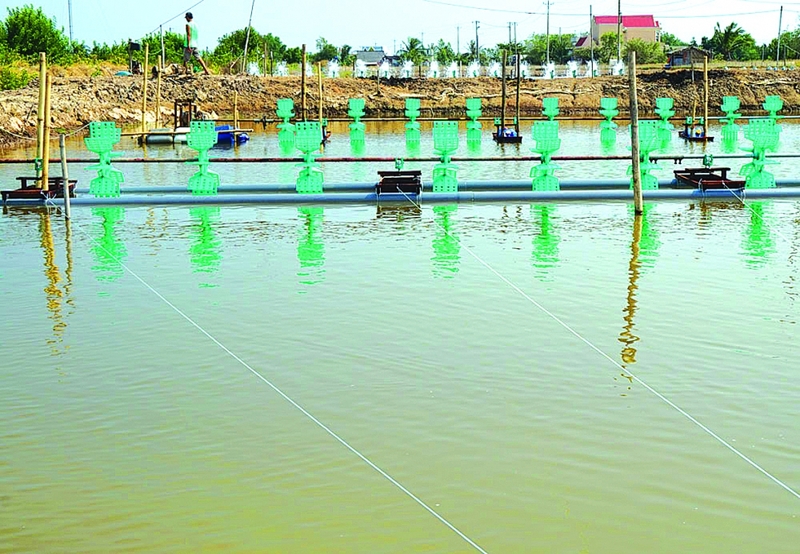 After nearly one year of implementation in Soc Trang Province, the project has attracted 161 shrimp farming households, which are given free guidance on the installation and use of machinery and equipment. 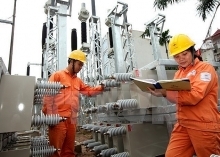 The project cost VND609 million, and enabled participants to reduce power consumption by 38.7 percent, equivalent to VND1.9 billion. The corporation plans to expand it to additional shrimp farming households. According to the Directorate of Fisheries, this model is very feasible, because it is simple and easy to access and implement. The reduction of 38.7 percent of power consumption is significant, saving production costs and improving the competitiveness of shrimp. In addition to power saving, the installation and use of advanced machinery and equipment have contributed to creating a better living environment for shrimp. Soc Trang Province has the largest shrimp farming area in the Mekong Delta, with 54,361ha of brackish water shrimp. Electricity for shrimp farming in the province has reached 221 million kWh, equivalent to about 20 percent of the province’s commercial electricity output. Therefore, expansion of the project will benefit the province in particular and the Mekong Delta region in general. In addition, EVN SPC has also implemented an experimental model using gear reducers for water fans. Nguyen Phuoc Duc, deputy general director of EVN SPC, said that to implement the government’s guidance on sustainable and efficient development of shrimp farming, EVN SPC is also coordinating with local authorities to supply three-phase power.